Transfer by water taxi from commissioner steps, Circular Quay, Sydney harbor to the seaplane base where you will join your seaplane. 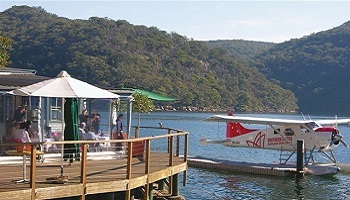 Enjoy a 20 minute flight from the heart of Sydney to the award winning Cottage Point Inn Restaurant. Situated in the Ku-Ring-Gai National Park and perched on the water's edge, this restaurant is renowned for offering exceptional modern Australian cuisine in beautiful and tranquil surroundings. 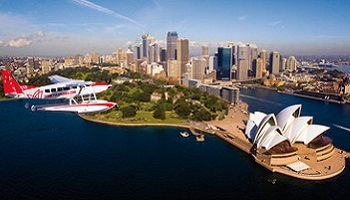 After a leisurely lunch reboard your aircraft and return to Sydney Harbour via a complete circuit of the Harbour in front of the Harbour Bridge and Opera House before landing at Rose Bay. Concludes approximately 4 hours after departure, and total flying time is approximately 40 minutes. Upon arrival back at the seaplane base, transfer via water taxi to Circular Quay.